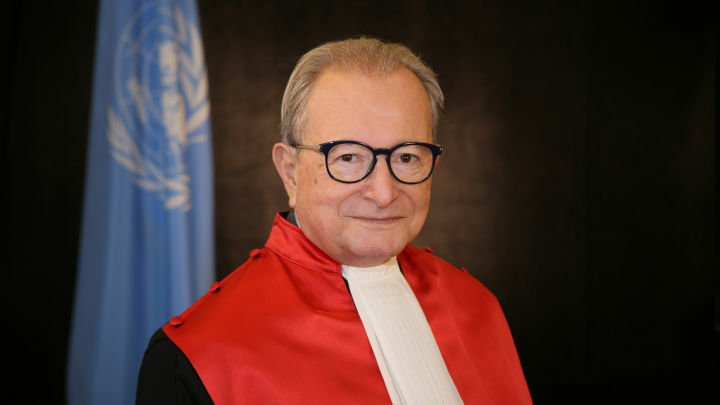 On 19 January 2019, Judge Carmel Agius, of Malta, assumed office as President of the International Residual Mechanism for Criminal Tribunals (Mechanism), following his appointment by the United Nations Secretary-General on 30 June 2018 to a term expiring on 30 June 2020. Judge Agius has been a Judge of the Mechanism since its inception in 2012. He also served as a Judge of the Trial Chamber of the International Criminal Tribunal for the former Yugoslavia (ICTY) from 2001 and a Judge of the Appeals Chambers of both the International Criminal Tribunal for Rwanda (ICTR) and the ICTY from 2009 until the Tribunals’ closures in December 2015 and December 2017, respectively. Judge Agius served as Vice-President of the ICTY from November 2011 until November 2015 and as the final President of the ICTY from November 2015 until its closure in December 2017. Judge Agius takes over the Presidency of the Mechanism from Judge Theodor Meron, who served as the Mechanism’s President since 2012. Upon assuming the function as President of the Mechanism, Judge Agius expressed his deep gratitude to Judge Meron for his exceptional stewardship of the Mechanism since the very first day of this institution’s existence, noting that it was very much thanks to Judge Meron’s work, leadership and dedication that the vision of the Mechanism as a new and efficient model of international tribunal became a reality. In addition he praised Judge Meron and his staff for all their efforts in making the transition between Presidents exceptionally smooth. Judge Agius underlined that his main priorities as the Mechanism’s President will be ensuring that the residual judicial proceedings are concluded efficiently while maintaining the highest standards of due process; enhancing the Mechanism’s unique mandate through a unified work culture, inter-branch coordination and harmonisation of practices and procedures at both the Arusha and The Hague branches and fostering a positive work environment with a view to encouraging high staff morale and performance.